In 1904, Great Britain was at the height of its prosperity; but G. K. Chesterton saw the drudgery of capitalism and bureaucracy eating away at the eccentricity and spontaneity of the human spirit. 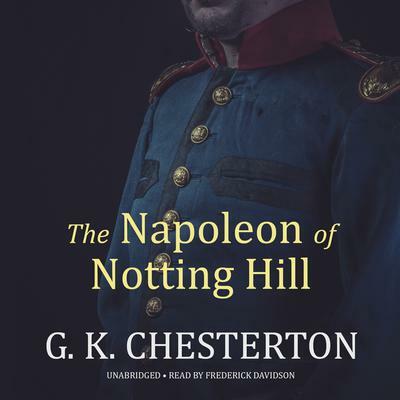 In The Napoleon of Notting Hill, his first novel, Chesterton creates a witty satire of staid government, set in a London of the future. Auberon Quin, a common clerk who looks like a cross between a baby and an owl and is often seen standing on his head, is one day told that he has been randomly selected to be His Majesty the King. He decides to turn London into a medieval carnival for his own amusement—with delightful results. In 1904, Great Britain was at the height of its prosperity; but G. K. Chesterton saw the drudgery of capitalism and bureaucracy eating away at the eccentricity and spontaneity of the human spirit. In The Napoleon of Notting Hill, his first novel, Chesterton creates a witty satire of staid government, set in a London of the future. Auberon Quin, a common clerk who looks like a cross between a baby and an owl and is often seen standing on his head, is one day told that he has been randomly selected to be His Majesty the King. He decides to turn London into a medieval carnival for his own amusement—with delightful results.